Had the chance to visit the Kremlin Museum and the Kremlin Armory today in Moscow, Russia. 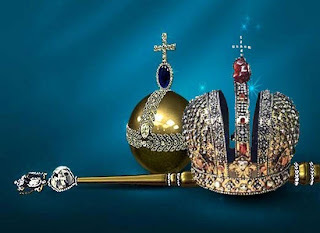 The Kremlin Armory Museum holds Russia's most complete collection of the jewels and the wealth of the Russian monarchs, and one of the world's greatest collection of crown jewels. The endless array of the opulent display of gold, silver, precious stones, crowns, thrones, etc. is truly dizzying. 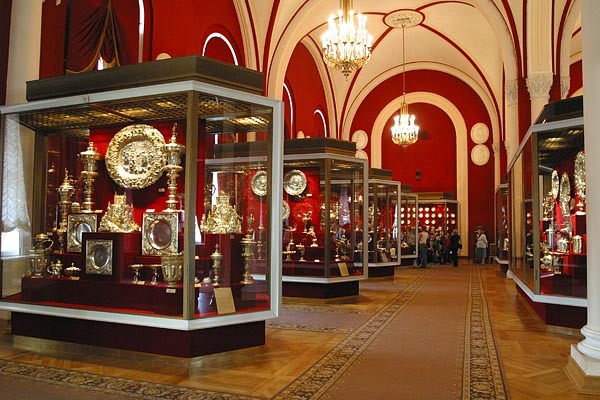 The collection at the Kremlin Armory Museum is only a small display of the luxury and the wealth of the Czars. The Russian monarchs had multiple enormous grand palaces for summer, winter, for the king, for the queen, etc. Instead of being impressed by all the wealth and luxury of the Czars, I found the display quite disturbing and depressing. The thing that makes this display of wealth so depressing is that while the Czar and his family lived with extreme wealth and comfort, the people of Russia were essentially starving. How could they be so blind to the suffering of the people while they lived in such luxury? 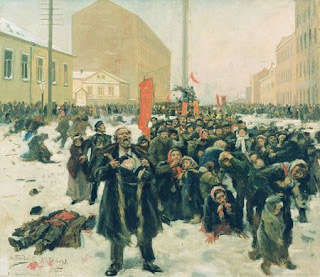 As they were surrounded by their luxuries in their palaces, right outside people were starving. It's not difficult to imagine why the Bolshevic Revolution took place, and it's not too difficult to see why the Russian Revolution was so bloody. As one walks through hall after hall of the incredible wealth of the royal family, it's not too hard to see why the Russian moms and dads who saw their children and loved ones dying of starvation were not only wanting to overthrow the Czars but wanted vengeance. After the Kremlin Armory Museum, I had a chance to reflect on what I saw and what I was feeling while sitting at a cafe in the Red Square. What I felt was even more sickening than what I had witnessed. I live in a world where I don't blink an eye while over a billion people on earth today live on less than a $1 a day while I was sipping on a $5 latte, eating a $15 lunch. When future generations of people look at our generation, I think they will shake their heads in disbelief at our blindness at the reality that we already produce all the food necessary so that not another single person ever has to die of starvation. We already have the trucks, boats, planes, trains, roads, to get the excess food to the hungry. It's not because we don't know how to stop abject poverty, it's because we don't want to. 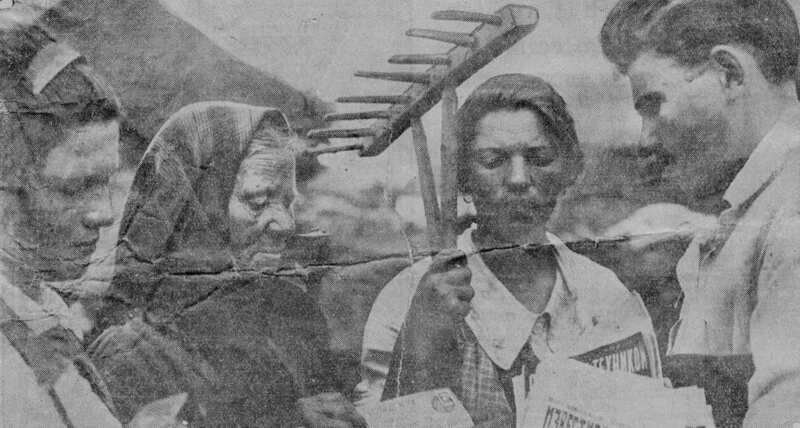 While I can certainly complain about the in justices of my world and my generation, what disturbs me to the core of my being is how I participate in the continued suffering of the poor. Because you see, I like my 3,100 square feet house, filled with four computers, giant flat screen tv with satellite connection. I like my two cars and two motorcycles. I like my gadgets and toys. I like my Starbucks. God, help me to change. I am so much a part of this world of luxury and wealth that I don't even know how to escape it and change. All I know is that I can no longer sit idly. I must do something different. Help me to be a part of the solution to the injustices of poverty in my generation.